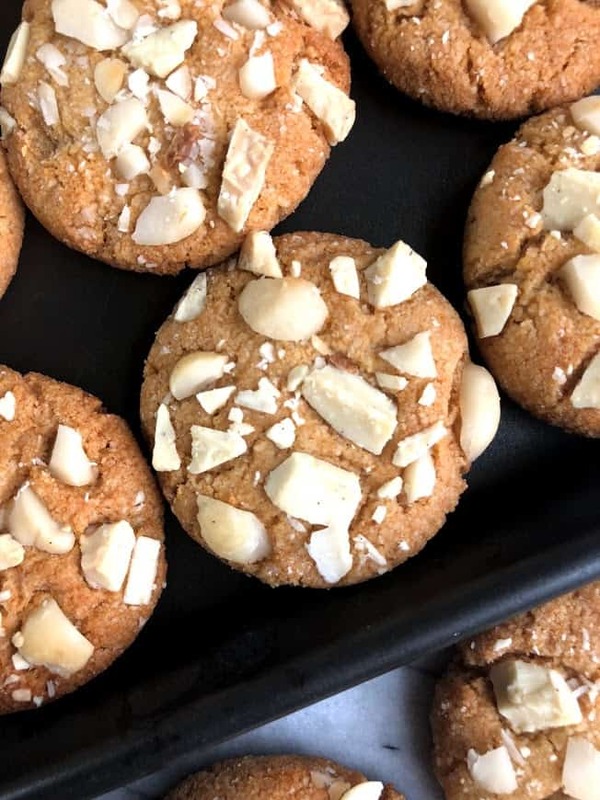 Healthy White Chocolate Macadamia Nut Cookies, the underdog of cookies, but definitely not the underdog in my heart. Coming up with new creations for my blog literally makes me one of the happiest people in the world. I get to sit down and think about some of my most favorite foods and desserts from when I was a child and recreate them into something healthier but equally as enjoyable. I’ve had so much fun going through my mom’s recipe box and looking at all of the different meals and the notes she has made on the cards, and then figuring out how I could remake it. The nostalgia is so heartwarming and if you ever have the chance to get your hands on your mom or dad or whoever cooked for you’s recipe box, I highly recommend it. I could have spent hours in there looking at all of the old recipes my momma had made and remembering each one, each with a different memory. I pulled out so many recipes that were so near and dear to my heart as a kid, and now I get to share them with you. 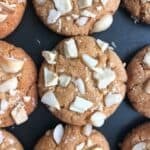 With that being said, my mom never really made white chocolate macadamia nut cookies in our house because we were always the typical chocolate chip cookie kind of family, but whenever we would go out and there would be an option to get a cookie, my mom and I would ALWAYS split a macadamia one. Those cookies will forever remind me of my mom and how she introduced me to their nutty, and subtly sweet flavor. 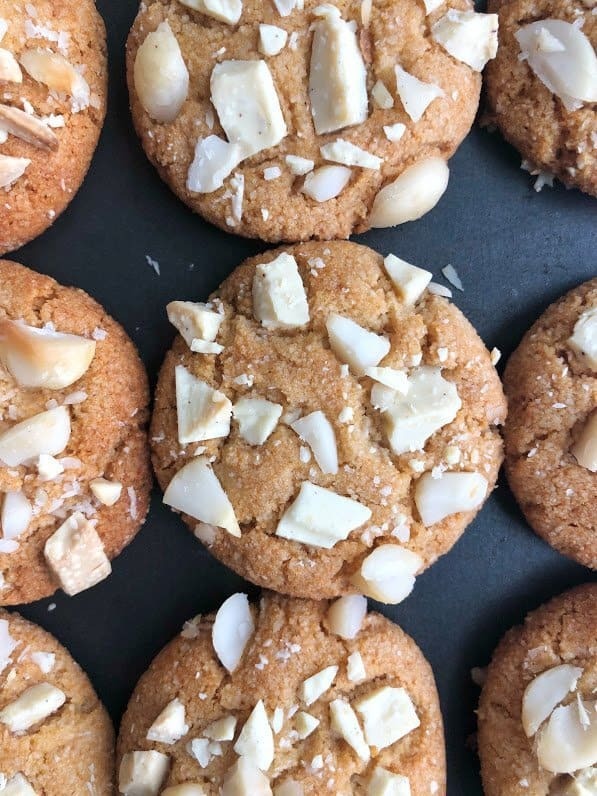 A good white chocolate macadamia nut cookie will be slightly chewy on the outside and a little bit sweet on the inside. So I took it as my goal to recreate a version for all of you that is more nutrient dense, won’t quite spike your blood sugar the same, and tastes just like the real deal. 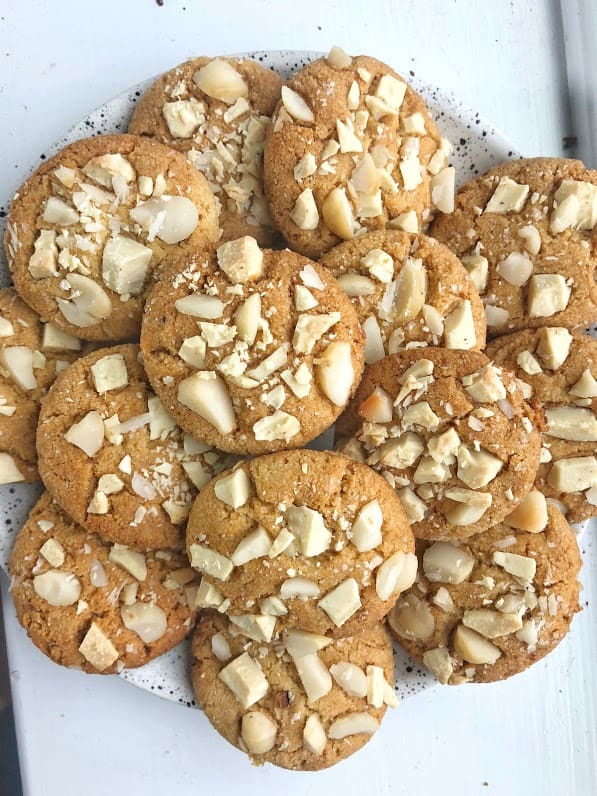 Enter: healthy white chocolate macadamia nut cookies. 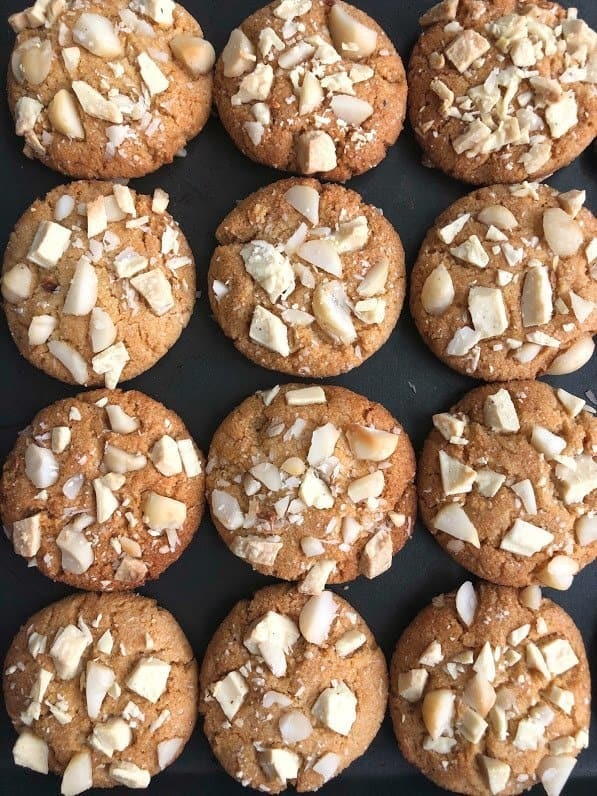 This version is made with almond flour, coconut flour, coconut oil, eggs, honey and a few other basic ingredients making it completely paleo, gluten free, grain free, and dairy free. And the best ever salted caramel white chocolate, not necessary, but so darn good. I shared these with Tom’s roommates and they gobbled them up so fast, I was so thrilled at how much they loved them. 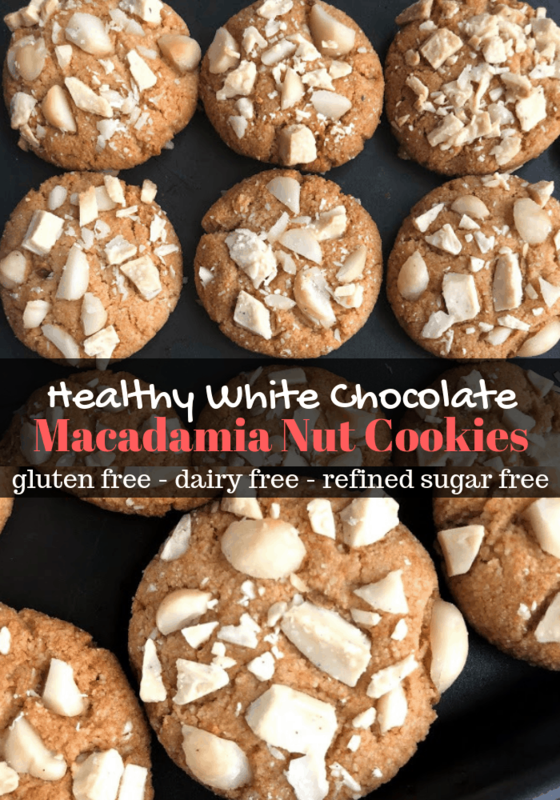 If you’re looking for a cookie that is different than chocolate chip, you’ve gotta try these healthy white chocolate macadamia nut cookies. These look amazing. What’s your go to brand for white chocolate? Have you tried using raw cacao butter as a sub?! I feel like it would prob melt during the cooking process though…. I’ve been using Green & Black’s organic white chocolate and like it! or the Guittard chips 🙂 Cacao butter would most likely melt too much. Can I replace almond flour with coconut flour?? Unfortunately they are not a 1:1 sub! I would try another flour like whole wheat or oat first.